New York Flooring Contractor Insurance. Commercial insurance is an expense that is a necessary part of doing business. Floor installers and refinishers cut and lay subflooring in new structures and strip, sand, and paint, stain or varnish existing wood floors in residential or commercial buildings. This type of operation does not include the installation of floor coverings such as linoleum, tile or carpeting. For new structures, installers cut and lay subflooring over a structural frame, install hardwood flooring, and apply layers of paint and/or varnish. Insurance is all about protecting you against the unknown. When you pay your premium you are basically paying for protection from things that could have a major negative impact on your business and could potentially even cause your business to fail. Will you ever have to use your flooring contractor insurance? Maybe, maybe not, but if you need it and don't have it then you are going to be in a major financial bind. 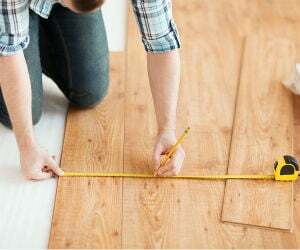 When looking at New York flooring contractor insurance, you should consider the following things as necessary coverage that your business needs to have. New York flooring contractor insurance protects your business from lawsuits with rates as low as $57/mo. Get a fast quote and your certificate of insurance now. Commercial General Liability Insurance: This type of insurance will protect against injuries to third parties, or damage to property, while your flooring company is working. This means that if your crew damages a building then you have insurance that will cover the repair costs. 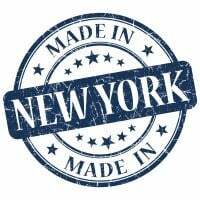 It also means that should someone be in your work zone that is not employed by your company, and they suffer an injury as a result, your New York flooring contractor insurance will cover their medical bills. Commercial liability insurance will also cover you in the event that you recommend and install flooring that turns out to be defective. Since this type of flooring contractor insurance is so important any person or company that hires you to work on one of their properties will likely ask you for proof of this insurance before you are allowed to start work.